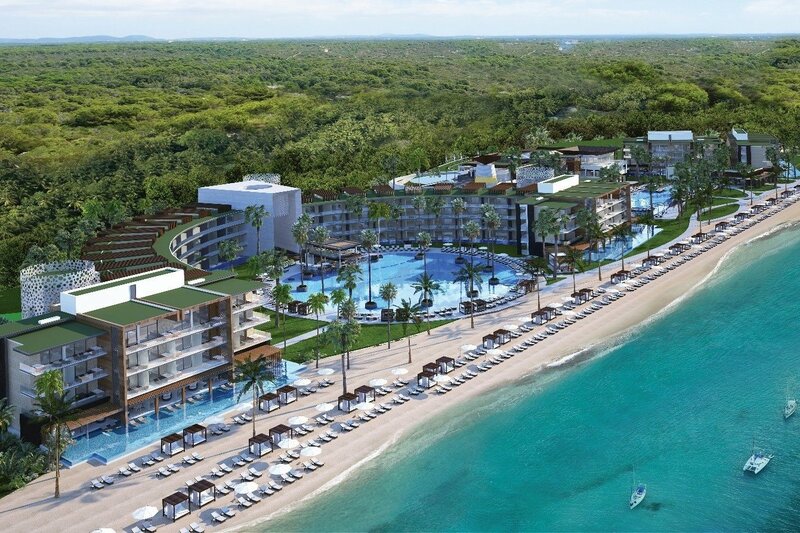 This exciting new resort opened in October 2018. An oceanfront sanctuary of luxury and sophistication awaits you at Haven Riviera Cancun, an adults-only, all-inclusive resort located between Cancun and Riviera Maya and only 10 minutes from Cancun International Airport. Featuring 333 Jr. Suite and Suites, 6 restaurants, 3 snack bars, 9 bars including 2 swim-up bars, and a full-service spa; the resort offers guests a wide range of personal services and luxurious amenities. Accommodations at Haven Riviera Cancun include king size beds, personalized mini-bars and aromatherapy, swim-out rooms and around-the-clock concierge and room service. The intimate property features lush tropical landscaping, 3 pools, giant Jacuzzi, free WIFI, multi-use tennis courts and golf privileges nearby. Haven’s exclusive Serenity Club suites offer guests a private check-in and lounge, beachfront accommodations and added VIP services and amenities. Situated on a pristine and uncrowned stretch of beach, Haven Riviera Cancun specializes in couples, romance, spa and wellness, social groups, meetings and incentives. Corporate gatherings assume a more relaxed rhythm at Haven Riviera Cancun. With breathtaking ocean views, captivating outdoor areas and sophisticated meeting venues, our adults only luxury enclave offers an intimate and inspiring setting for business and leisure events. From the early planning stages until the last guest has left, our meeting, incentive and event experts will personally work with you to ensure ease of planning, maximize productivity and create lasting memories for your guests.